Large Machined Items: We have considerable experience in the finishing of machined components in a variety of materials including steel, stainless steel and aluminium. Quality: We pay particular attention to detail with each item, ensuring each job is visually inspected and dried before packing, a process that cannot be replicated on a large automated plant. 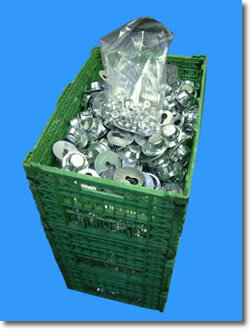 Small Items - Large Batch: We cater for large and small batches of bulk items such as washers, fixings and brackets and offer a fast turn around. 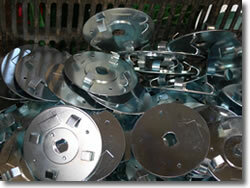 We can plate items such as screws as small as 2mm diameter and have no lower limit on batch volume. 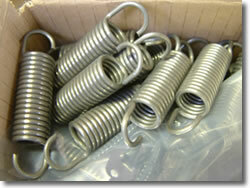 Springs: Over the years we have handled a large amount of work from spring and wireform manufacturers and are capable of accommodating both large and small batch work. 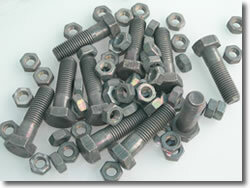 Fastenings: Nuts and bolts make up a large portion of our everyday workload. 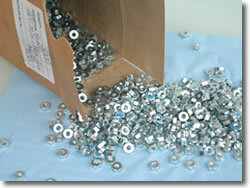 We offer a fast turn around and can package to client specification in boxes, plastic bags and tubs. Light Manufacturing: We provide metal finishing services to a range of local light manufacturing companies across the region. 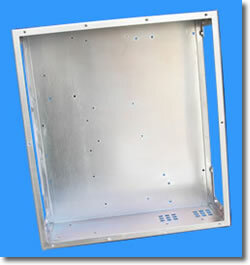 Sheetmetal: We finish sheet metal products such as enclosures, brackets, and fabrications to a maximum envelope of 6ft x 3ft x 3ft. Decorative Engineering: Selective use of colours can add an appealing aesthetic to an engineering component whilst enhancing its surface hardness and providing a corrosion resistant finish. We have carried out a sizable amount or work for both the automotive industry as well as the Formula 1 and high performance racing car market. 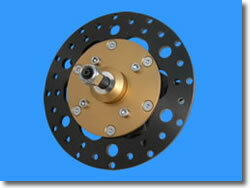 We have also carried out work plating props for film companies who often require very decorative finishes in silver or gold. Corrosion Protection: A large volume of our work is for corrosion protection for extending material end of life and enhanced resistance to harsh environments such as marine applications and high temperature scenarios. 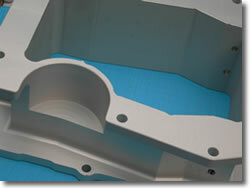 Electrical Conductance: Metal finishing can alter the state of a materials electrical conductance. An example of this application can be seen in the picture to the right which shows a batch of tin plated battery terminal connecters. 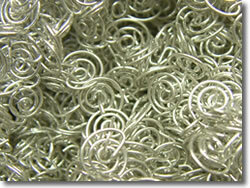 Materials such as tin or silver increase a materials conductivity whilst anodising aluminium will reduce its conductivity.